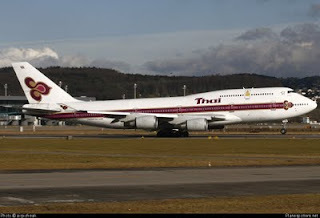 THAI (THai Airways International) filed THB 575 Million lawsuits against PAD (yellow shirt) leaders who led anti-Thaksin protesters in the seizures of Bangkok's two airports last year. PAD led yellow shirted protesters seized Suvarnabhumi and Don Muang International Airport and caused cancellation for many flights and stranded thousands of passengers. No Comment to " Thai Airways International sues PAD (yellow shirted) "